On Thursday, July 5, 2018, David W., age 71, of Ingram, formerly of Weirton. Loving father of Jennifer Harris Ross and David Harris; dear grandfather of C. J. Simon, Matthew Gray, David Harris Jr., Kylie Ross, James David Harris and Tara Ross; brother of Susan, Marc (Linda), Bruce (Marjie), Dean (Lisa) and the late Gregg and Brian Harris. 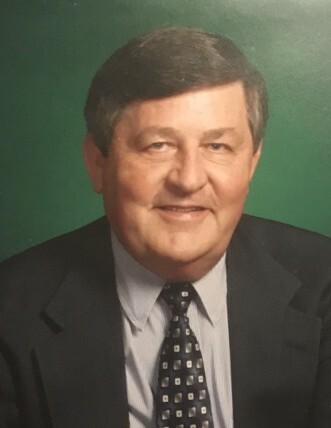 Dave was a U. S. Air Force veteran, a member and Ruling Elder of the United Presbyterian Church in Ingram and had worked at Shaw Walker before retiring from Kaufman's in 2006. He was a 1969 graduate of West Virginia University and also served on Ingram Borough Council for 15 years. Friends received at the Hershberger-Stover Inc. Funeral Home, 170 Noble Avenue, Crafton, on Sunday, 2-4 p.m. and 6-8 p.m. Funeral service will be Monday at 10 a. m. in the United Presbyterian Church in Ingram, 30 W. Prospect Ave, Pgh., PA 15205. EVERYONE PLEASE MEET AT THE CHURCH. If desired, memorials may be made to the United Presbyterian Church in Ingram.